When I was a little girl I was the ultimate gift wrapper in my house. Every time we had a party or a dinner to attend my mom would call me over, hand me the gift and ask me to wrap it. I would groan and moan but secretly I loved doing it, and I still love it to this day. There is something about taking a colorful paper, taping it to a box and adding ribbons and bows that brings me so much happiness and joy…its kind of weird. 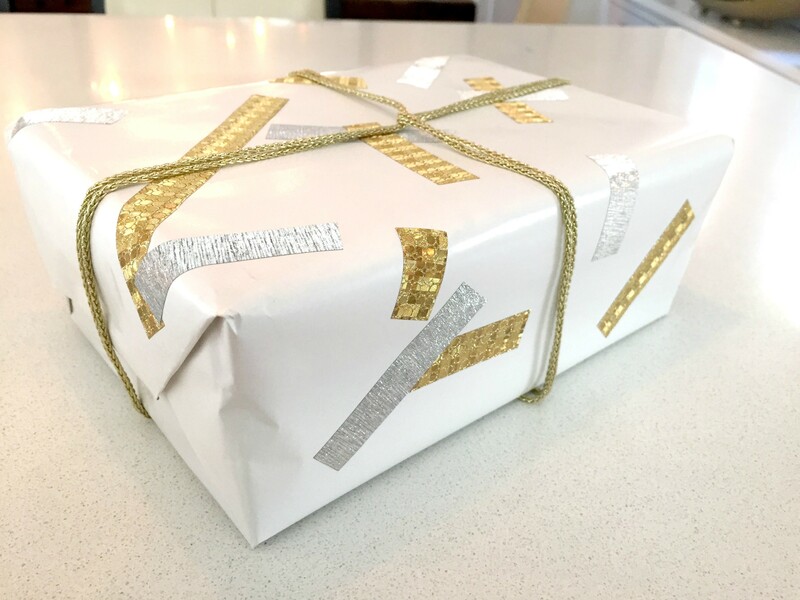 I really believe that if you have a great wrapping you’ve won half the battle when giving someone a gift. 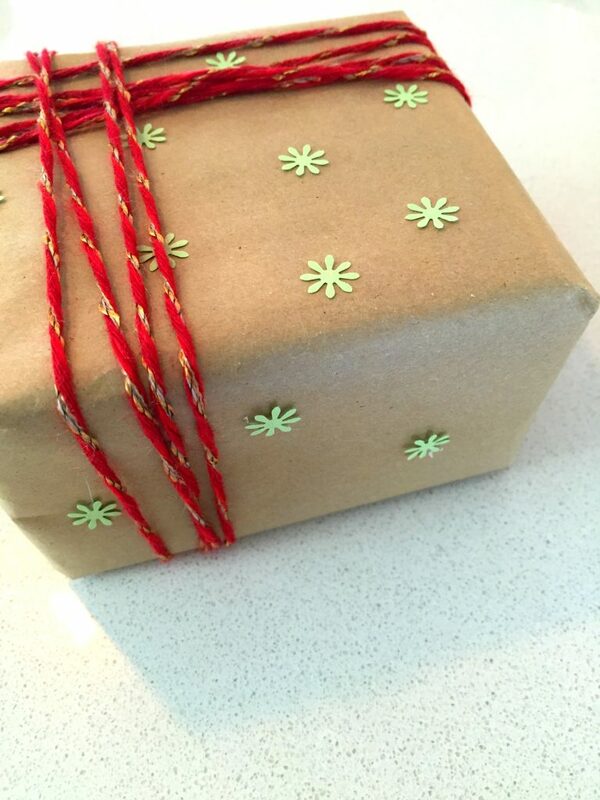 You could give someone a mediocre gift, but if the wrapping is exceptional, well, you just bumped that gift way up. 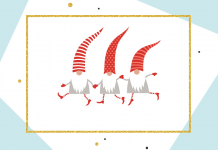 1. Who are you giving the present to? Is it a child, an adult, a family member or maybe a co-worker? 2. 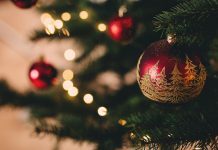 What is the gift you are giving? Is it fun, serious, or sophisticated? 3. 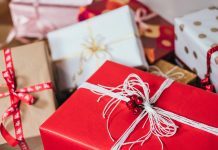 What do you want the person to feel when they see your gift? For all of you creative types, you can go crazy with almost anything that will pop with color or will stick to the wrapping paper. But for those of you who are not so creative, I wont leave you hanging. 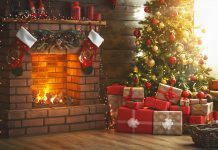 Bellow are some examples of easy ways to really wow the people who are getting your gifts. I went to the dollar store and picked up some basic fun supplies that anyone can find at the craft section. I used some basic white and brown paper as a base and then went crazy with the rest of the ribbons, yarn, pearls, buttons and other things I found. 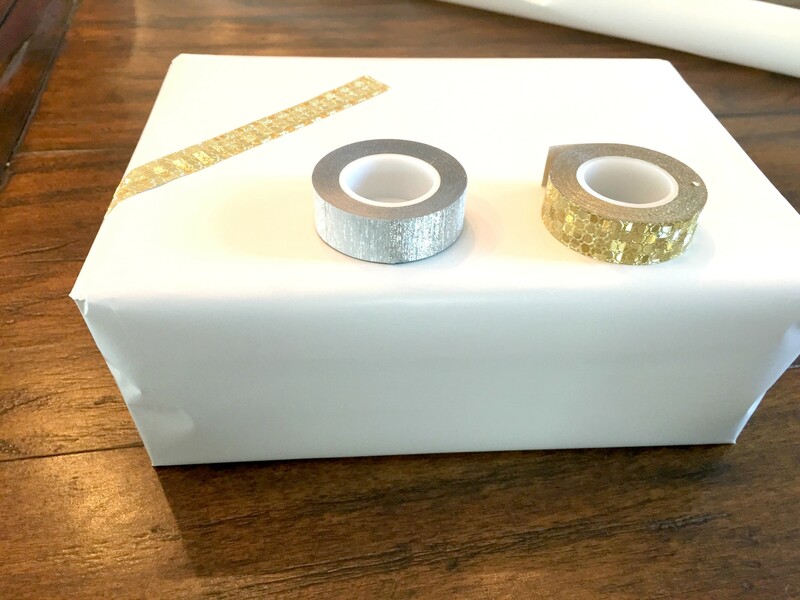 I chose to cut up different sized pieces of tape and stick it on the white wrapping paper in different directions. I finished it off with a gold rope to give it a polished look. 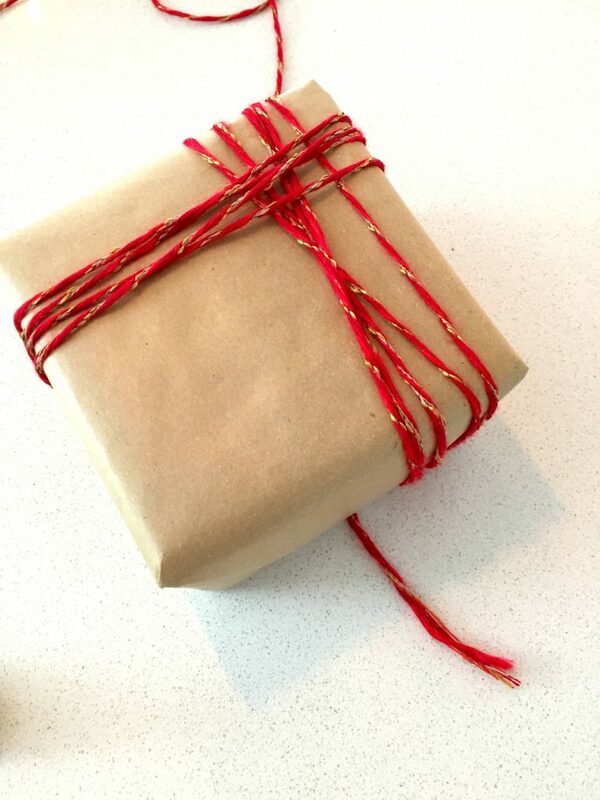 I really like using butcher paper to wrap gifts. It is a little bit thicker then regular wrapping paper, which makes it much easier to manipulate while it wont rip as easily. 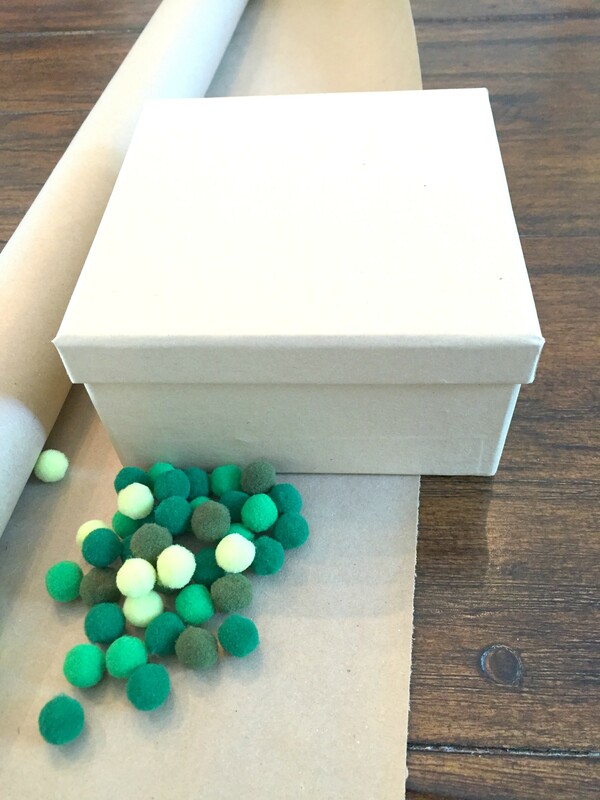 I found different color green pompons and thought they would be a great addition to the butcher paper. 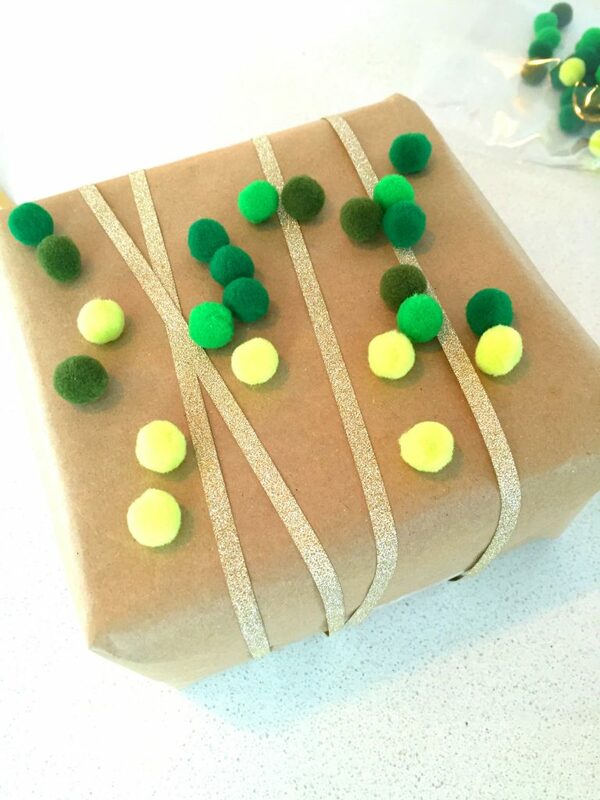 I used my glue gun to glue these pompoms and then wrapped the box with some gold ribbon. You can play with the colors of the ribbon and pompoms to create different looks. 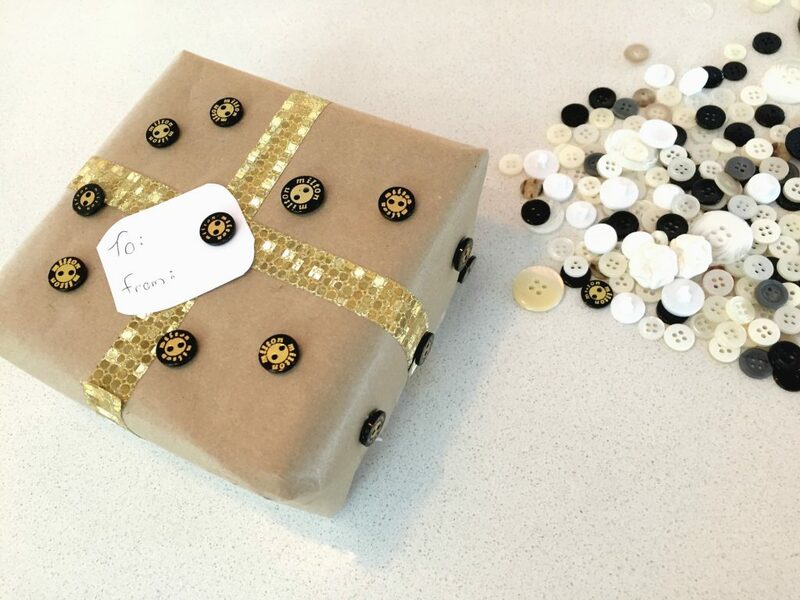 When I saw these black and gold buttons at the store I couldn’t resist buying them and gluing them on. I also used the gold tape to act as a ribbon. This would be great for a child’s gift because it is so colorful and fun. 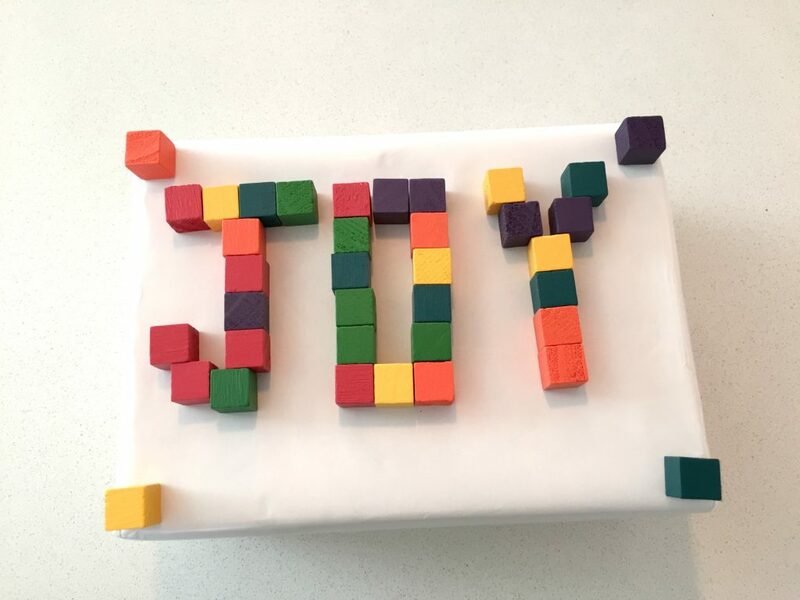 I wrote the word ‘Joy’ with colorful little cubes, but you can write out a name instead. I love using asymmetrical patterns and that is what I did here with this red yarn. I love the red in contrast with the brown paper. Using the glue gun again, I glued little snowflakes to the box for a pop of color. I made the snowflakes with a great paper puncher I found at the craft store. 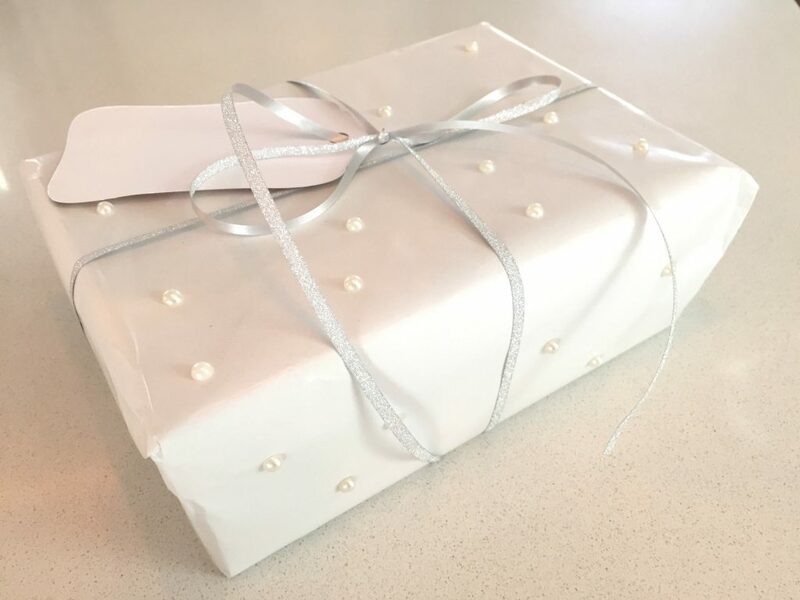 I wasn’t sure how I would use these pearls, but when I started sticking them on to the white wrapping and finished it off with the silver ribbon, I knew it was a perfect combination. This is one of my favorite wrappings because even though it’s simple, it is also elegant and screams winter wonderland. 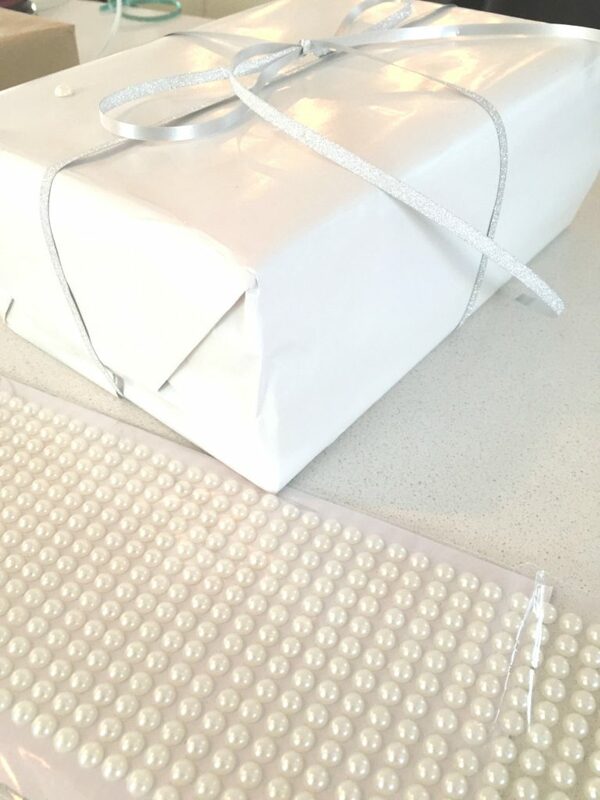 Creating an original gift-wrapping doesn’t need to be expensive or hard. 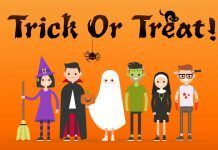 Just by having a few supplies at home you can create almost anything that is fun and looks different than the generic wrapping in the stores. Happy wrapping!